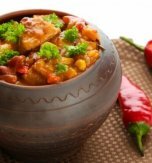 Mushroom solianka is a recipe of the rich and nourishing Ukrainian dish which has a sour-salty-base and includes stewed cabbage and mushrooms. 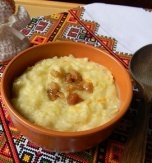 The traditional dish is easy to cook and is really tasty. If you want to vary the everyday menu then cook the mushroom solianka. It can contain any types of mushrooms – ceps, aspen mushrooms, slippery jacks, etc. You can use one type of mushrooms or simply combine them. The choice depends on your taste. The solianka can be served as a good garnish, an appetizer, stuffing for pies and patties – you can use it in a variety of ways. 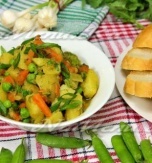 It can be also kept it in a fridge and then simply warmed and… a light dinner is ready. Rinse and chop cabbage finely. Place it in a pan and pour with 1/2 tbsp of oil, 1/2 tbsp of vinegar and a small amount of water. Stew the cabbage for an hour. After stir in tomato paste, granulated sugar. Season the mass with salt and pepper. Add one bay leaf and a sliced cucumber. Set aside for a while. Peel mushrooms, wash them and place in boiling water for 15 minutes. Then drain the water, slice the mushrooms and brown them on dairy butter slightly. Transfer the mushrooms to a plate. Peel and dice a bulb onion. Fry it on the same pan. Then combine the onion with the mushrooms. Season everything with salt and pepper. 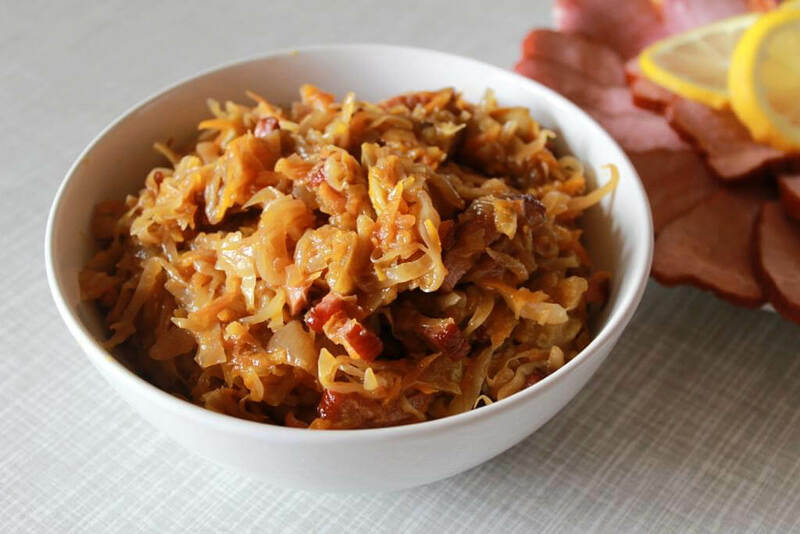 Arrange the ingredients in layers - place the half of the stewed cabbage in a griddle, put the mushrooms above and then spread the remaining cabbage. 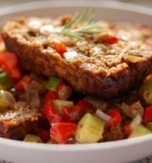 Top the dish with breadcrumbs and sprinkle it with the remaining vinegar and sunflower oil. Place the dish in an oven for 15 minutes. Serve the mushroom solianka with a slice of lemon. 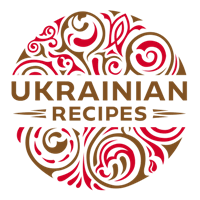 Do you have a favorite Ukrainian recipe for vegetable and mushroom stew? If so, please let us know in the comments below or write us an e-mail.